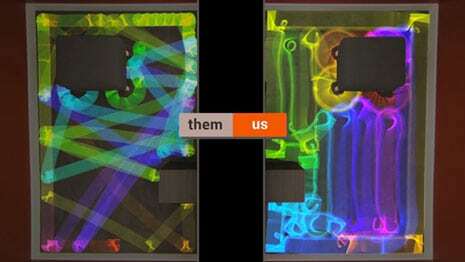 Newark, CA and Chicago—March 2, 2013—What’s the number one complaint people have about vacuuming their floors? 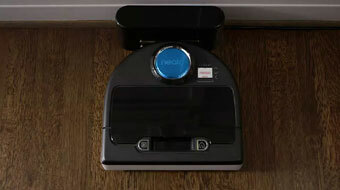 According to new research from Neato Robotics®, it’s maneuvering the vacuum around table and chair legs and underneath furniture – along with getting close enough to edges and corners. 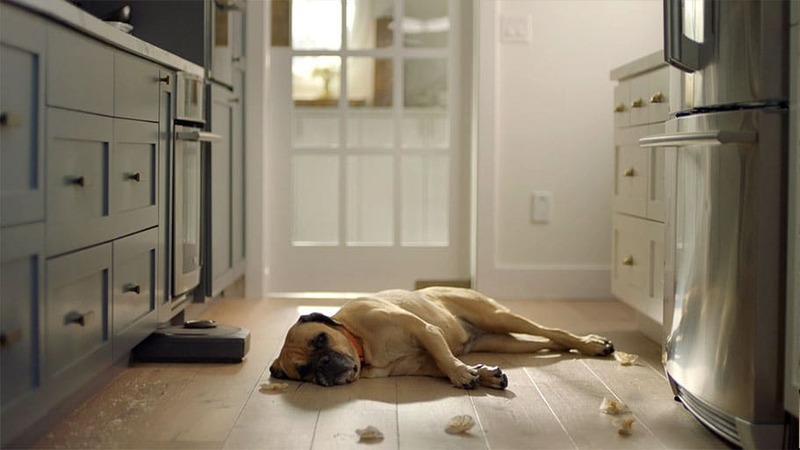 Dealing with vacuum cords and lugging around a heavy vacuum were also cited among the most annoying aspects of vacuuming. 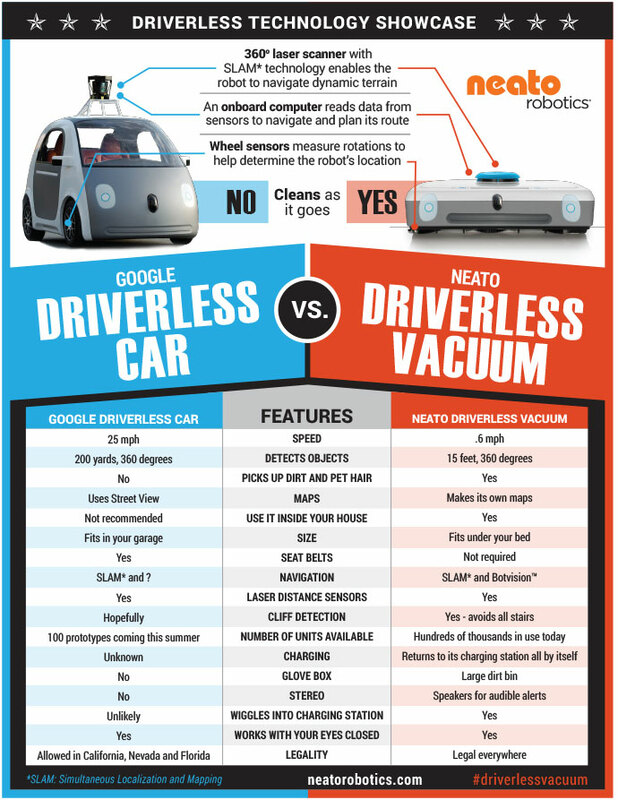 Yet almost half of those surveyed wished there was a way they could vacuum their floors every day. 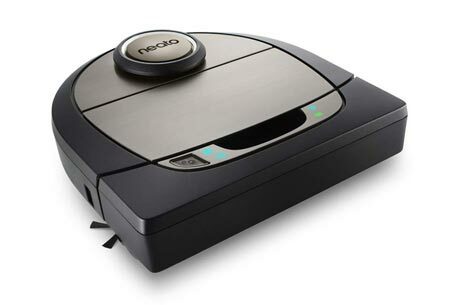 Enter the new Neato XV Signature Series of robot vacuums. 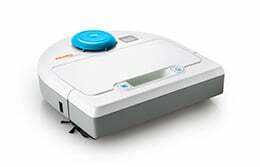 Introduced today by Neato Robotics, a Silicon Valley company that pioneers robot technologies to free people from household chores, the new vacuums are the smartest and most powerful robot vacuums yet. 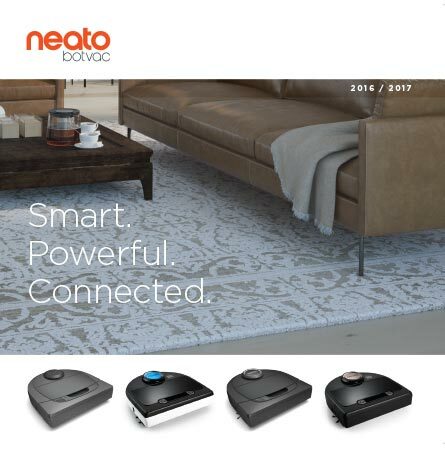 The new sleek black models, which include the Neato XV Signature and Neato XV Signature Pro, feature Neato’s unique square front and low profile design, which lets them vacuum underneath furniture and close to corners and walls for maximum pick-up of dirt, dust, debris and pet hair. 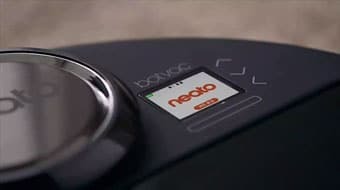 Just as a coffee maker can be programmed to brew at a designated time, Neato vacuums can be set to clean a house whether the owner is home or not. The Control Center allows users to easily schedule daily cleanings, spot clean, or just push a button for instant cleaning. 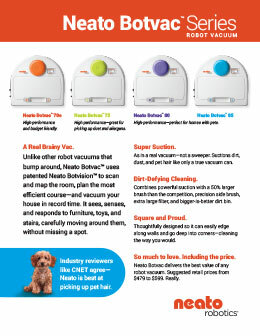 Daily vacuuming – without the hassles – is automatic and simple. 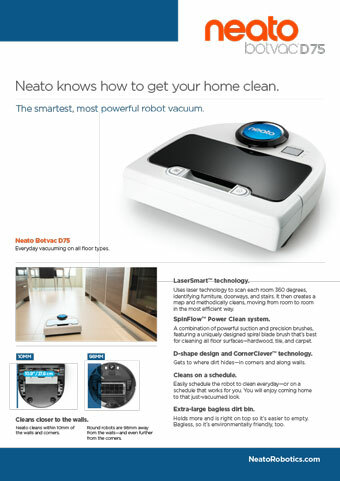 Unlike other robot vacuums that bounce around a room in a random style, Neato’s advanced laser-guided navigation automatically maps a room to choose the smartest cleaning path. 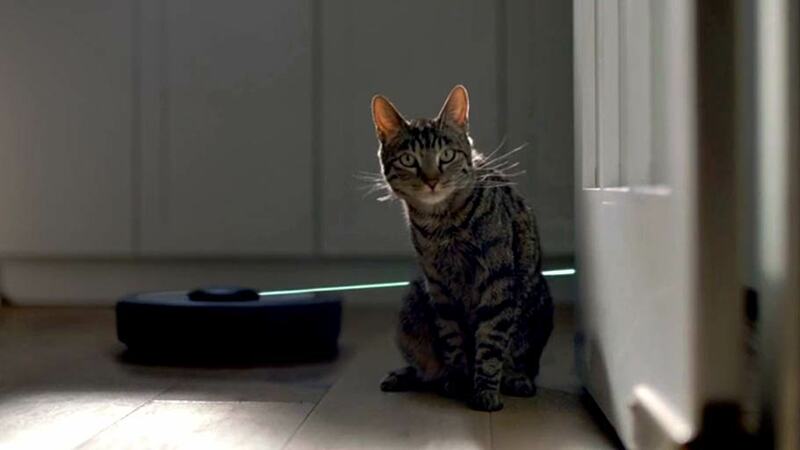 Its Smart Sensor technology automatically detects and avoids stairs, and doesn’t bump into furniture like other robots do. 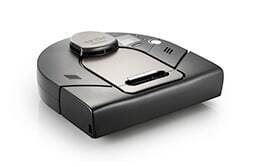 It’s even smart enough to return to its base to recharge and then resume vacuuming where it left off. 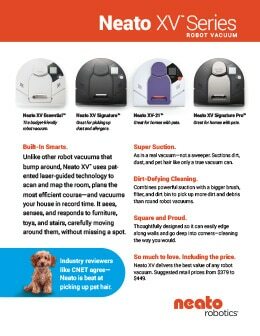 A high-powered vacuum that picks up dirt, debris, pet hair, dander and microscopic fibers, often overlooked by lesser-powered vacuums. 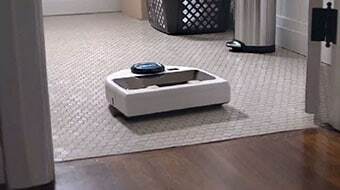 A new capability called Corner Clever that help the robot vacuum enter and back out of corners more precisely, and continue around the corner to ensure it has thoroughly cleaned the entire floor. 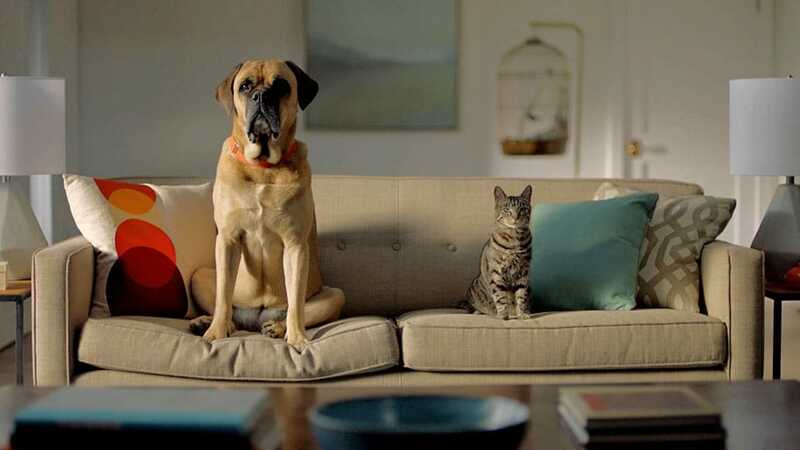 High-performance filters that rid homes of allergens, make homes healthier, remove particles from the air stream down to 0.3 microns in size, including mold, spores, dander, dust mites, pollen, textile and carpet fibers. 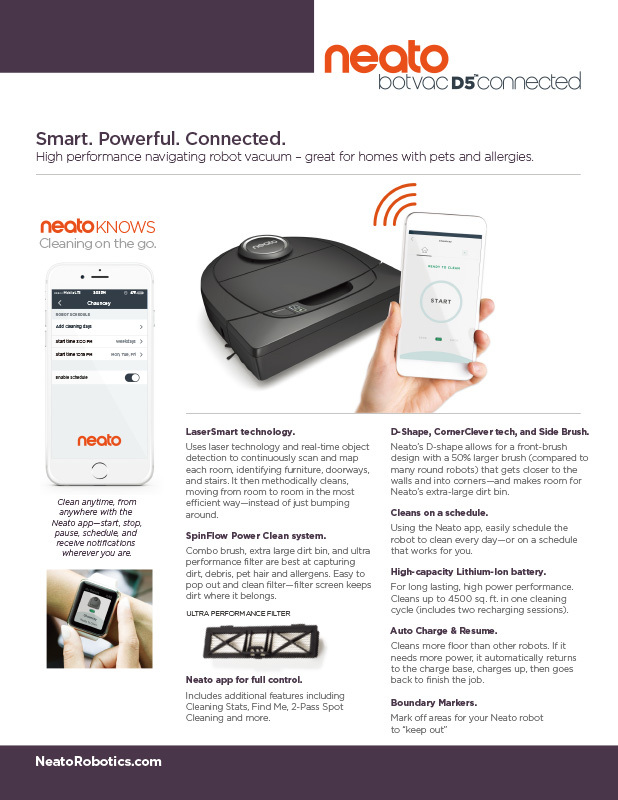 Improved navigation that extends Neato’s lead as the only vacuum smart enough to navigate and clean multiple rooms. 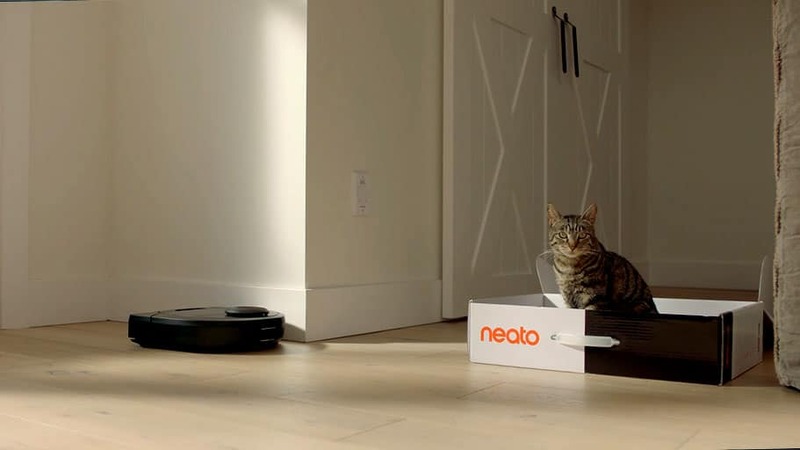 Neato knows where it’s been, where it’s going and returns to where it left off. Large bag-less dirt bin, making it easy to use and environmentally friendly. 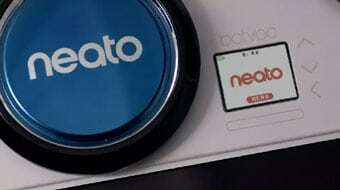 Along with the introduction of the new products, the company also announced the latest version of the Neato Robot software and the new Neato Software Update Tool. Neato Robotics is the only company to offer continuous improvements through upgrades available to customers, meaning their robots only grow smarter. 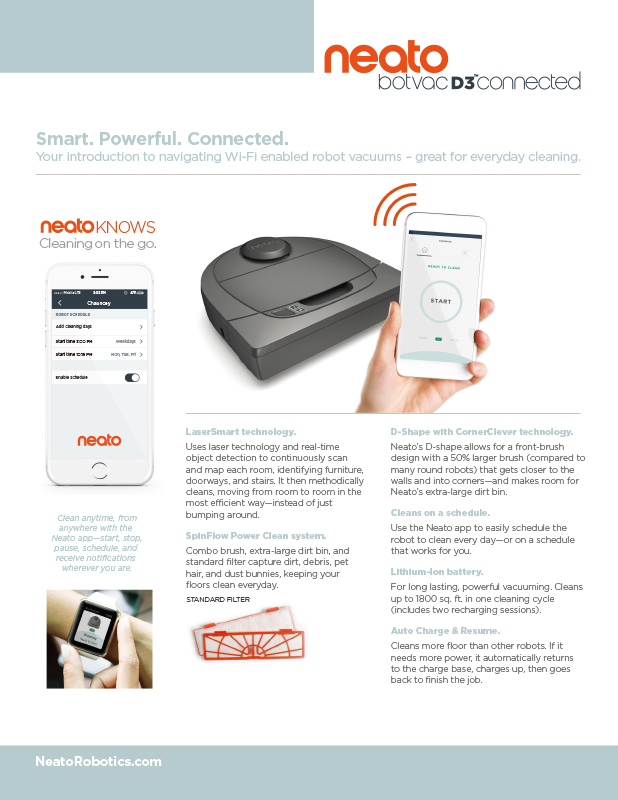 Customers can update their robots by visiting www.NeatoRobotics.com and clicking on the Software Updates link under the Support tab. 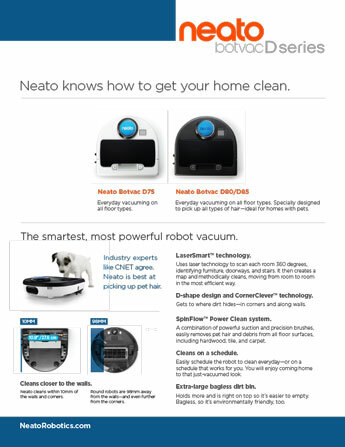 The Neato XV Signature robot vacuums will be available for purchase in early April through the company’s many retail partners and directly from the Neato Robotics website. 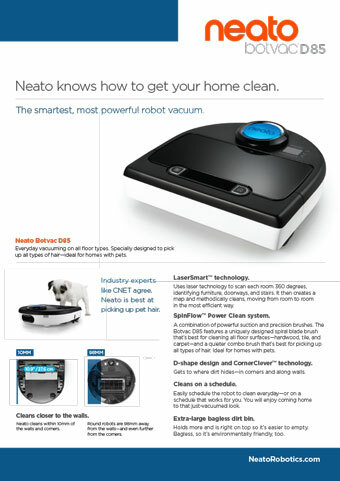 To purchase a Neato robot visit http://www.neatorobotics.com/products/. 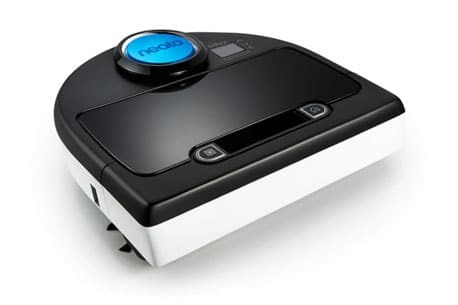 The MSRP of the Neato XV Signature Pro is $449 and includes the new XV Signature aerodynamic vacuum design, two high-performance filters, and a versatile brush system, including combo brush and blade brush, for even more effective cleaning on all floor types plus pick up of tough pet hair. 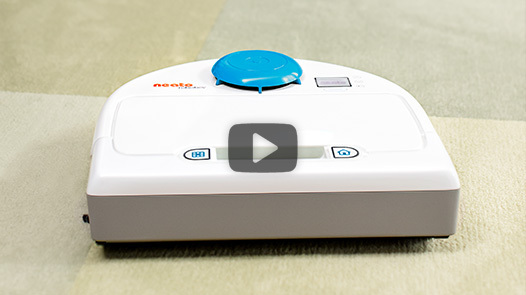 The MSRP of the Neato XV Signature is $399 and includes the new XV Signature aerodynamic vacuum design, a high performance filter and blade brush for more effective cleaning. 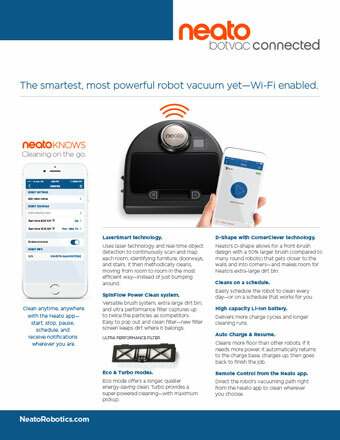 See Neato Robotics’ new XV Signature line at the International Home and Hardware show in Chicago, IL March 2-5, Lakeside Hall Booth 11161, in Electronics + Home Healthcare.